The resignation of Dalai Lama from his political responsibilities is neither the end of the movement seeking ‘genuine autonomy’ nor its interruption, but a chance for Tibetans to take their destiny in their own hands. The movement seeking "genuine autonomy" to Tibet Autonomous Region from China will neither end nor disappear after spiritual leader the Dalai Lama transfers his authority to a elected leader though there will be difficulties, the Tibetan Government-in-Exile said today. Prime Minister of Tibetan Government-in-Exile Samdhong Rinpoche said though the leadership of the Dalai Lama cannot be "substituted" by anyone, Tibetans have to find out a way to take the political leadership of the movement without his involvement. In an interaction with select Indian journalists a day after the Dalai Lama announced his resignation, he said Tibetans will neither "soften nor harden" their stand on the issue of seeking "genuine autonomy" as provided in the Chinese Constitution. 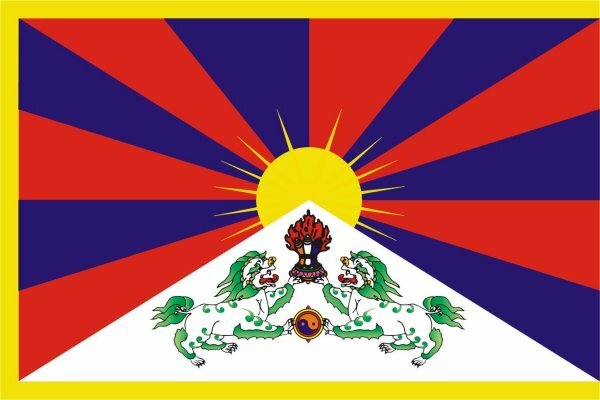 "Tibetan struggle shall have to continue as long as the Tibetan people are there. In the absence of His Holiness the Dalai Lama as political head, there will be difficulties and setback. But the movement will neither end nor disappear," he said in reply to questions about the Dalai Lama's decision to give up his political role. "The leadership of His Holiness cannot be substituted... but, he will not move away from the struggle. He cannot disassociate himself (from the Tibetan movement)," he said. On China's reaction to the Dalai Lama's announcement yesterday, he refused to comment. Rinpoche, who will relinquish office next month, said the democratically-elected government of Tibetans in-exile will continue to work for the development of the people. Asked why the Chinese Government and Representatives of the Dalai Lama have not met for the past one year, he said his presumption was that Beijing is waiting for the elections to end and they may engage with the new government. He also made it clear that the Dalai Lama wants "genuine autonomy" for the Tibetan region and is not seeking to "break away from China." "Genuine autonomy is sufficient to fulfill the aspirations of the Tibetan people... We have been seeking autonomy since 1974. We don't want to break away from the People's Republic of China," he said. Expressing hope that the Tibetan issue will be resolved in the lifetime of the Dalai Lama, Rinpoche said democratisation of China is the key for resolving every issue concerning that nation.